The last news about 9. 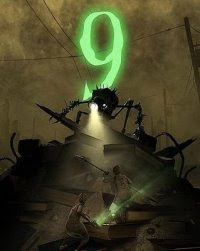 Watch the movie trailer of 9. The scientist gave to the rag dolls the spark of life and gave them a mission to accomplish, So it's not a winged beast, even the scariest one, that will stop them!